Best Chinese Knives: Ganzo Firebird F753M1 - Smaller version of the G7531! 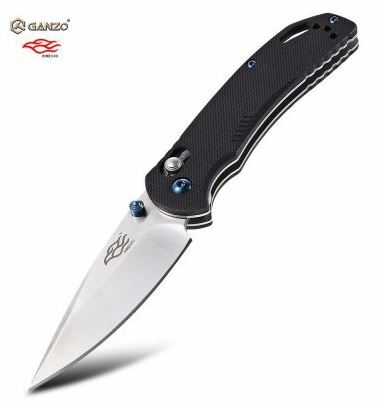 Ganzo Firebird F753M1 - Smaller version of the G7531! What I truly appreciate about the Ganzo/Firebird brand, is that they truly listen to their customers! We were constantly asking for smaller, more EDCable versions of their knives, and they delivered it with the mini version of the beloved Ganzo G7531. The new model - the Firebird F753M1 has the overall length of only 17.8 cm, blade length of 7.7 cm and closed length of 10.1 cm, which makes it a great small EDC option. It is available with G10 handles in 3 colors (black, orange and green) and all of the great features of the original model - "axis" lock, and blue colored hardware. It also has a pretty attractive price tag. BTW - it seems that GearBest shipping problems have ended, and they now ship knives to most countries. If you encounter a problem - please write in the comments.